This weekend it is time to Spring forward and I always look forward to Spring. 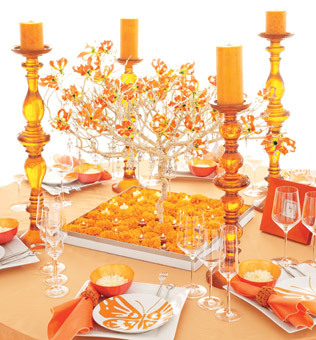 Here are some ideas for some bright, cheerful spring centerpieces. 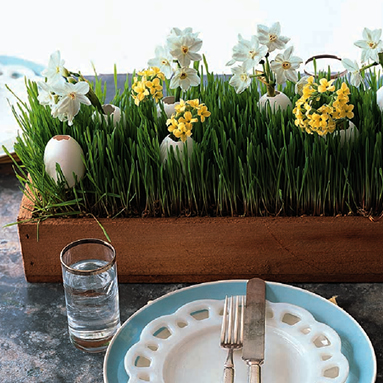 This grassy centerpiece from Rachel Ray will be great to create for Spring or as an Easter arrangement. 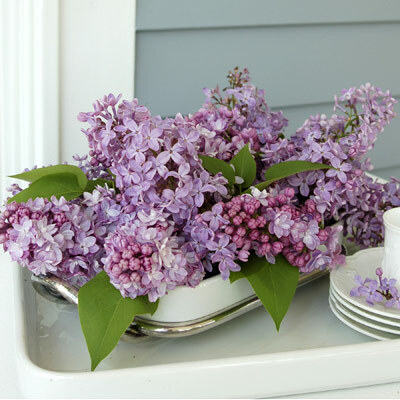 Use a serving tray to display this arrangement of Lovely Lilacs. 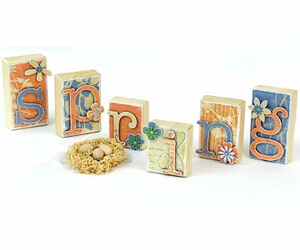 Create a Spring centerpiece out of wood blocks and scrapbooking materials like this from BHG. I love this tablescape from Brides.com. My favorite thing are the votives floating in the marigolds. 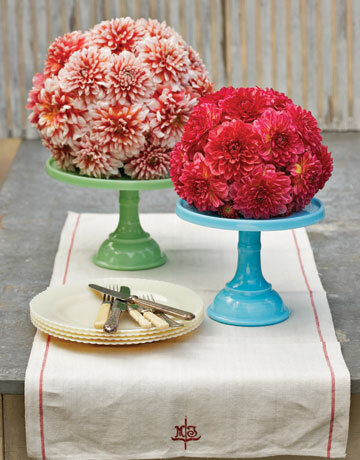 Use a cake stand and a foam ball to create this flower arrangement from Country Living. With Spring around the corner, use these great ideas to brighten the mood at your house or at a celebration.